Hi Everyone! I want to take this opportunity to wish you all a Merry Christmas and a Happy New Year! I hope you all have a wonderful time! 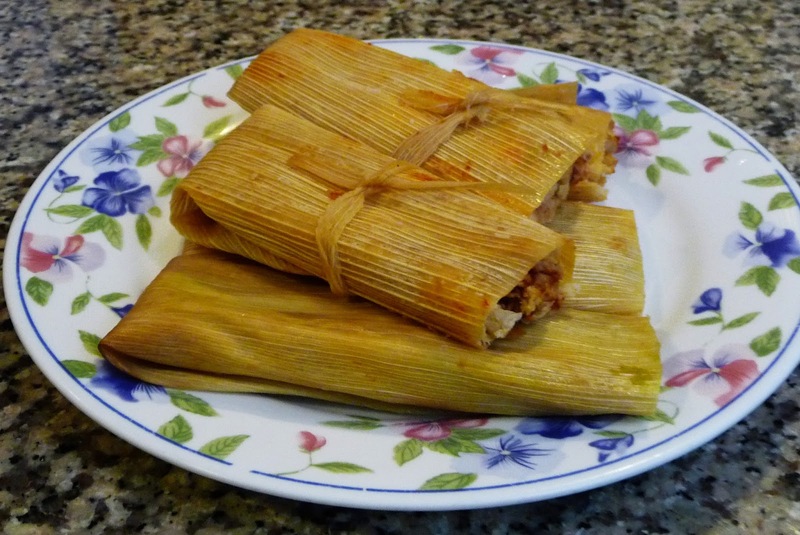 Today's recipe is Mexican Tamales, this is one of the things/dishes we usually have for Christmas and/or New Year's Eve. 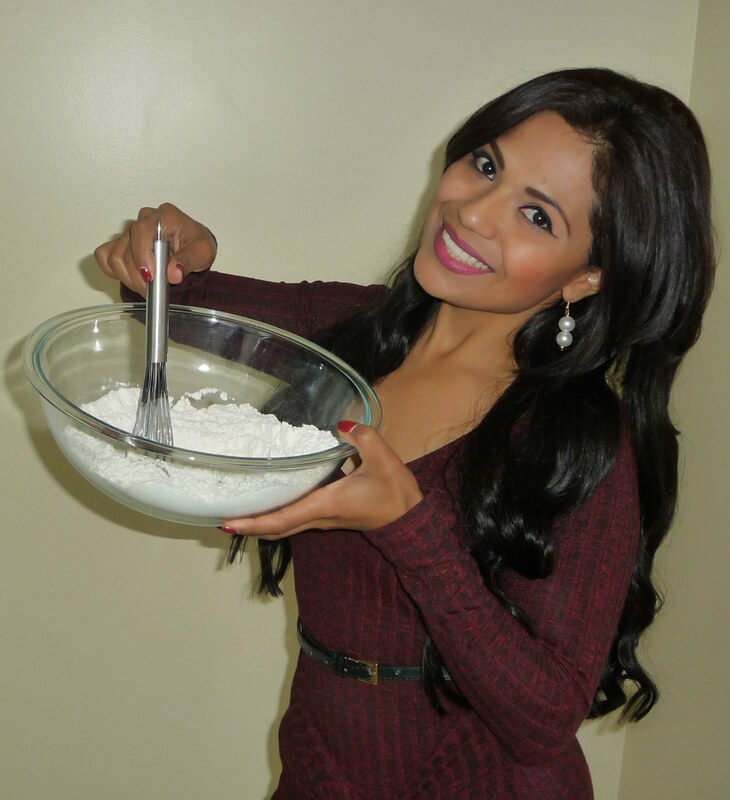 So today I'm sharing my grandma's recipe with you all, I really hope you like it! My grandma was a very well known "tamalera" meaning, she made tamales to sell, and she had a lot of happy customers! So it's needles to say that in my family we have been making tamales for as long as I remember, we used to help my grandma to make tamales, and then we will also delivered them to her customers, I have a lot of good memories making tamales, and hopefully by sharing this recipe, I will also encourage you to make tamales with your family, and have a wonderful time, while making them. They are very time consuming, but every minute is worth it, and if you have friends or family helping you, I assure you, you will have a wonderful time and you will be making memories to last you a lifetime! So call your friends, sister, mother, or daughter, and invite them over to make some tamales! Have fun making them and then enjoy! Soak the corn husks in warm water for at least 1 hour. Remove them from the water just before you start using them. Cook the chicken in boiling water with the onion, bay leaves, garlic, salt and black pepper to taste. Cook for 1 hour or until well cooked. Let it cool, then shred it. Set it aside until you are ready to use it. Now in a sauce pan, add ½ tablespoon of lard, and strain in the salsa, cook on medium heat fora bout 10-15 minutes or until it comes to a boil. Once it's boiling, taste the flavor and add more salt if needed. Once the salsa is done, set it aside until you are ready to use it. To make the Green Salsa: Peel off the tomatillo, remove the stems from the jalapenos, place them in a sauce pan, rinse with warm water, then cover them with enough water, and cook on medium-high heat for about 10-15 minutes or until soft. Once they are done, place them in a blender, add in the garlic, black pepper to taste and ½ cup of water, blend on high until the Sauce is smooth. In a sauce pan add in ½ tablespoon of lard, and cook the green Sauce on medium heat until it comes to a boil, once it's boiling, taste the flavor and add more salt if needed. Then set it aside until you are ready to use it. To prepare the Masa/Dough: Warm up the lard in the microwave for 1 minute. Place the masa/dough in a large bowl, and add in half the lard, remember, from every "Kilo of masa" (2.204 lbs) you will need "½ kilo of lard (1.102 lbs.) Then season the masa/dough with plenty of salt, and mix together, you have to mix (knead) everything with your hands, the masa/dough might have a lot of big lumps so it's easier to dissolve them if you are using your hands. Add in the rest of the lard, mix well, then taste the flavor and add more salt if necessary. You want the dough to be soft and smooth, so it will be easier to spread it on the husks, if you already added all the lard, and your dough is still feeling too dry, feel free to add chicken broth to get the right texture. Once the dough has the right texture and flavor, you can start making the tamales. To make the cheese tamales: Spread the dough over the corn husk on an even layer, (avoid the end of the husk) place a cheese strip right in the center, top the cheese with pickled jalapenos, bring the sides of the husk in to cover the filling, fold in the end of the husk towards the center, and keep on repeating this steps until you are done. Add plenty of water to your steamer, and place the tamales inside the steamer, separate each layer, red, green and cheese, with a bunch of shredded corn husks in between each layer. Cook for 90 minutes or until cooked. To serve, spoon some of the left over salsa over the tamales and enjoy!